A pet trust is an excellent way to make sure your beloved pet will receive proper care after you pass on. The problem, of course, is that you won’t actually be there to see that your wishes are carried out. It’s critical to set up a pet trust correctly to ensure there are no loopholes or unforeseen situations that could make your plans go awry. Here are 5 tragic mistakes people often make when leaving their assets to their pets. Appropriating more than the pet could ever need. The gossip stories about such-and-such celebrity who left his or her entire fortune to a pet are the exception rather than the rule. Leaving millions of dollars, houses, and cars to your pet is not only unreasonable, but it’s more likely to be contested in court by family members who might feel neglected. To avoid this pitfall, leave a reasonable sum of money that will give your pet the same quality of life that she enjoys now. Providing vague or unenforceable instructions. Too many pets don’t receive the care their owners intended because they weren’t specific enough in their instructions or because they did not use a trust to make the instructions legally binding. Luckily, a pet trust can clarify your instructions and make them legally valid. If you leave money to a caretaker without a pet trust in place, hoping it will be used for the pet’s care for example, nothing stops the caretaker from living very well on the pet’s money. But when you use a pet trust to designate how much the caretaker receives and how much goes for the pet’s care, you’ve provided a legal structure to protect your furry family member. You can be as specific about your wishes as you’d like, from how much is to be spent on food, veterinary care, and grooming. You can even include detailed care instructions, such as how often the dog should be walked. Failing to keep information updated. Bill sets up a pet trust for his dog Sadie, but what happens if Sadie passes away? If Bill gets a new dog and names her Gypsy, but he doesn’t update this information before he dies, Gypsy could easily wind up in a shelter or euthanized because she’s not mentioned in the trust. 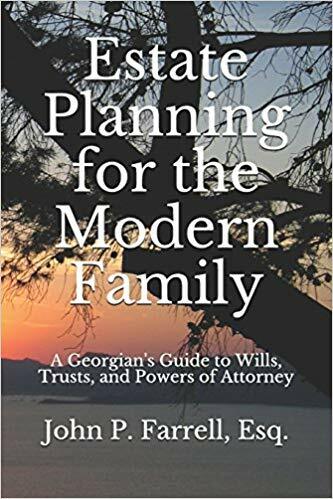 This is a common yet tragic mistake that can be easily avoided by performing regular reviews with your estate planning attorney to ensure that your estate plan works for your entire family. Not having a contingency plan. You might have a trusted friend or loved one designated as a caretaker in your pet trust, but what happens if that person is unable or unwilling to take that role when the time comes? If you haven’t named a contingent caretaker, your pet might not receive the care you intended. Always have a “Plan B” in place, and spell it out in the trust. Not engaging a professional to help. Too many people make the mistake of trying to set up a pet trust themselves, assuming that a form downloaded from a do-it-yourself legal website will automatically work in their circumstances. Only an experienced estate planning attorney should help you set it up to help ensure that everything works exactly the way you want. When attempting to leave assets to your pet, the good news is that with professional help, all these mistakes are preventable. Talk with us today at (678) 809-4922 about your options for setting up a new pet trust or adding a pet trust to your current estate plan. We’re here to help.